The stunning architectures of the city of Oxford have inspired many before me. 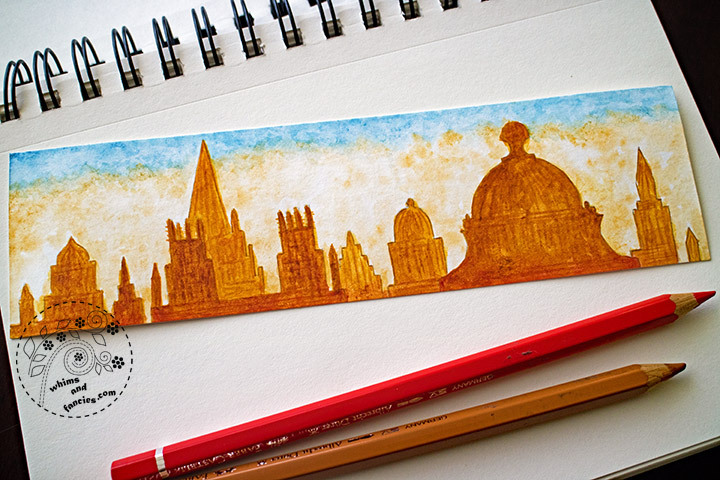 I was not surprised to find myself wanting to paint the iconic buildings of the city for a new bookmark. Bookmarks are small, therefore great for playing with colours and techniques. 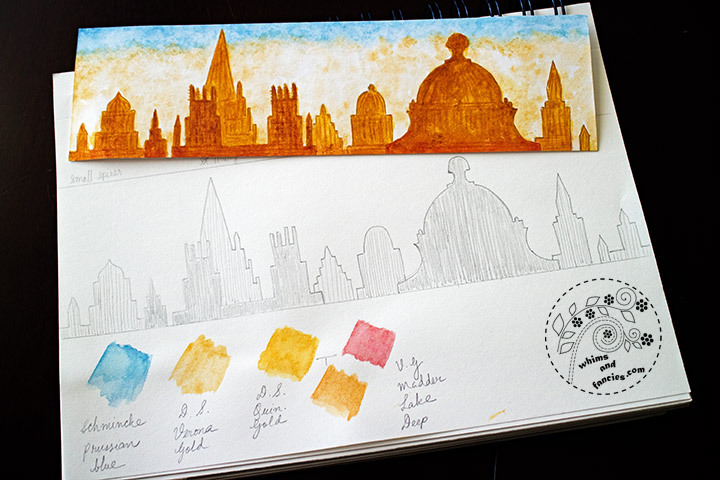 This is my approach to painting a bookmark depicting the skyline of this dreamlike city. I was not too fastidious with the sketch itself; I wanted to get started painting quickly. The piece was going to be mostly monochromatic. 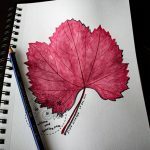 I started by making a value drawing in pencil. The lightest buildings are the farthest out and the darkest ones are the closest to the viewer. Once that was done, I started selecting my paints. For the sky I started with a warm yellow and then tested three blues against that on scrap paper. 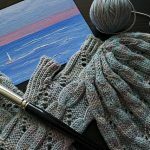 Since I was painting a late afternoon as opposed to an early evening scene, I chose the warmest of the blue tones. Daniel Smith Quinacridone Gold is one of my favourites, if not my most favourite. I knew from the very beginning that the buildings were going to be painted in this colour. The closest and therefore darkest buildings got more layers of paint to make them darker than those in the middle or further away. I had to let the each layer dry in between. That, I don’t mind telling you, really tests my patience. Once I was happy with all the background shades, I added a hint of red to the closest buildings to make them even warmer than the rest. I thought it would be nice to add a few suggestive details to the buildings as well. Before this painting, I wrote down the paint combinations I used for certain paintings on little pieces of paper, but I could never find them afterwards. I decided to keep a log book starting with this painting, noting down the paints for each one. 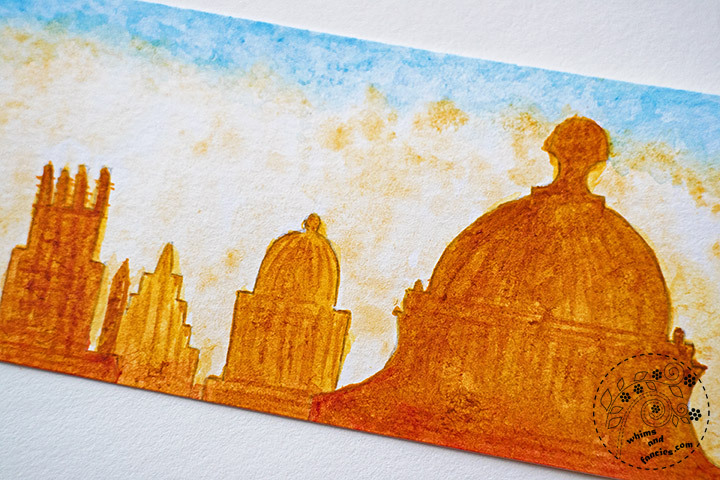 I painted the bookmark using watercolour. I would also love to paint a larger and a bit more detailed version of this scene in oil one day. The bookmark is now residing in between the pages of my current book. Happy Reading! That really is so lovely! Very pretty – the colors are so inviting. This means so much to me because I spent a semester at a school near Oxford … any time I was coming down the hill toward Oxford, I would glimpse this skyline through the trees. 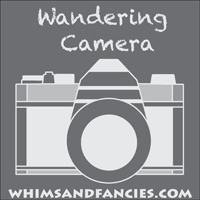 You captured it very well – warm, romantic tones! Beautiful gold glow, Soma:) Love the third and fourth building from the right – it shows the layers so well! 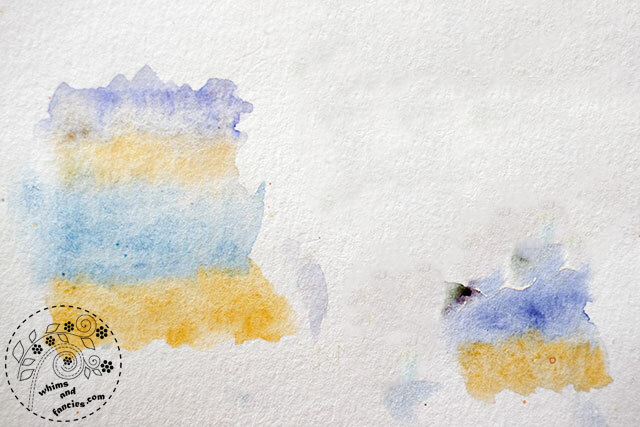 Smile – watercolor is an art that asks for patience! Many thanks for sharing this with All Seasons and have a great artsy week! 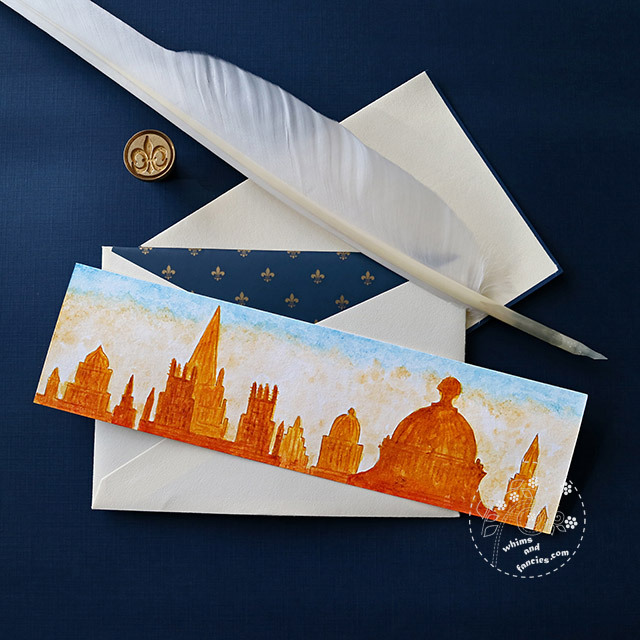 This bookmark is really lovely. Painting is a mystery to me it’s nice to see how you do it. What talent you have! I so admire people who can paint or draw, and even more actually do it and share it. Thank you for that, as I sure do enjoy seeing your work and your process. I’ve just realised reading this that it has been six years since I lasted visited Oxford. I need to remedy that! I love a cityscape and we have one in similar colours in our dining room of Edinburgh. Enjoy using it – it’s beautiful! 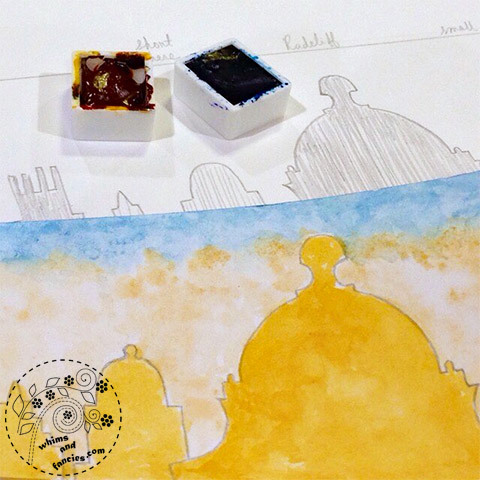 Thanks for sharing your detailed steps in producing a lovely painting. It’s fascinating. I’m not a painter so I find your details really fascinating. I never realised just how much goes into producing a work of art like this. 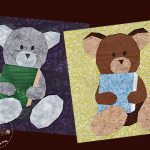 I think keeping everything recorded is a great idea and I will have to start doing this with my crafts. Oh and the finished piece is beautiful, I’d be happy to have that marking the pages of one of my books. that is beautiful. Thank you for the steps in creation, it was very clear. 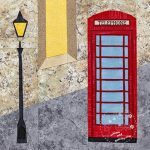 Love your paintings! Beautiful art work and thanks so much for sharing your process to get to this lovely painting! really beautiful. 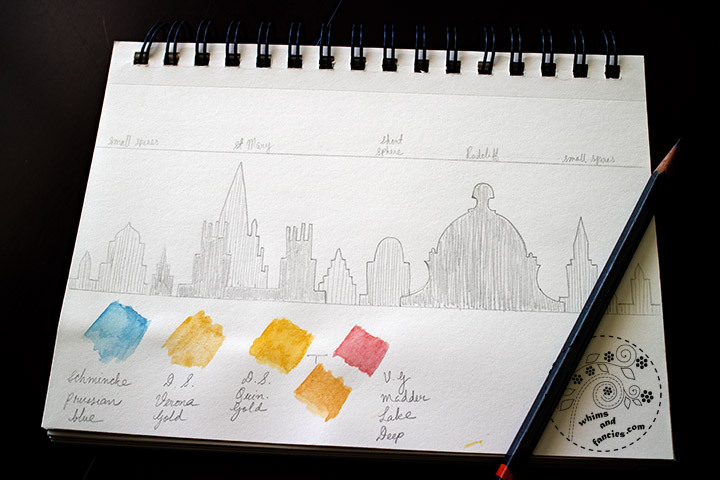 I love that you explained the pencil drawing for perspective along with your paint choices. That quin gold is gorgeous! Happy PPF! What a nice was to use such a beautiful “trial” — loving Oxford! I love reading about your thought processes in your creations almost as much as the outcome. Beautiful. Just beautiful and so well done. Wonderful! What a gorgeous skyline! I love the shape of your painting too. Another lovely artwork by you, Soma. I always love to see your paintings and the process of each one to its completion. You are so talented! You are so talented, I really admire artists as I am not skilled in drawing or painting. A lovely happy bookmark. I appreciate you talking about your process. I stopped to practice dark and light shapes. So cool. I hope you have the opportunity to paint the scene larger and in oils. It would be a Va-va-va-voom! painting. Really love your bookmark! I feel some stirring of wanting to paint again…..grin…maybe. wow this turned out lovely. how cool to have a book mark that you painted yourself. 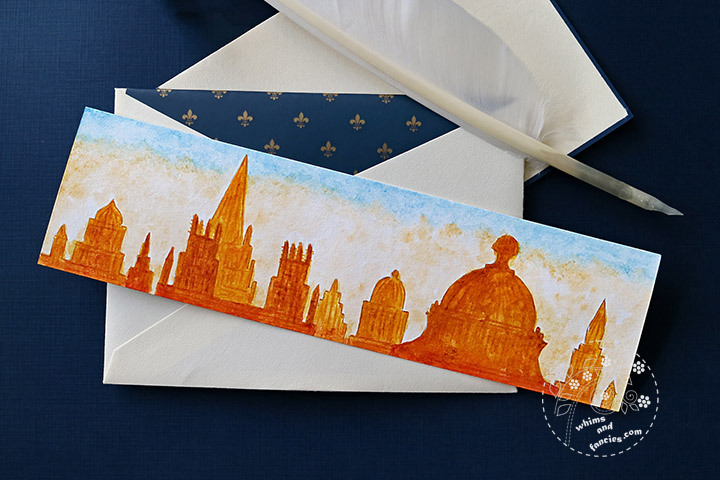 Your Oxford skyline bookmark looks lovely. When I look at the bookmark, I find myself contemplating the history that envelopes that area. I, too, enjoy the beauty of q. gold…a truly wonderful colour.